You are here: Home / Ent. / Kanye West: I Just Can’t. Kanye West: I Just Can’t. (ThyBlackMan.com) There is a small part of me that feels for the man that lost his mother. As someone that lost a parent I understand that the very nature of that situation can drive a sane person mad. When you internally question yourself regarding the death of said parent like you are on trial there is always something found that you could have done differently. There is that little voice that says this is your fault, and it can send you spiraling out of control. Everyone that has faced this tragedy has to find a way to deal with it for themselves. I will always pray for Kanye West in this area. 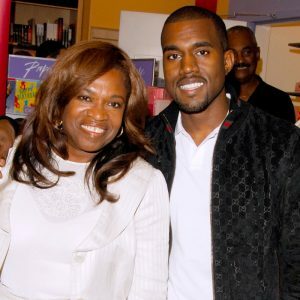 With that being said…let’s all be honest Kanye West showed us the making of a narcissist through his music and interviews well before his mom passed. I understand there are some that will find a way to rationalize the commentary of Kanye West regarding Trump, free thinking, and the choices of slaves. Some will point to his admitted mental health challenges and medication. That is very understandable and noted. Others will say Kanye West doesn’t speak for black people he speaks for himself and should be allowed to feel however he chooses. I understand, but what we can do and what we should do is not always the same. Why should Kanye West be held to a different standard because he’s a celebrity? He’s still back regardless of what he thinks, and he can be reminded of it very quick if he’s not careful. There are some that acknowledge him as a genius, and from where they stand it’s the genius in him that makes it hard for him to fully express what he is thinking and feeling in a manner whereby we understand. I can even see this perspective. The problem with the Kanye West situation for me is if he is not ignorant. He was raised by educators, and he does know better. I can’t sit here and justify his behavior like he doesn’t understand the weight of his platform. If one is unable to completely convey thought that is understandable…be quiet until you can get your thoughts together. For those that say he is entitled to his own thoughts…of course he is, and if he chooses to make them public he is entitled to reactions of those thoughts. People that have smaller platforms have had to meet the consequences of their words…why is he an exception. However, I admit thought I feel what’s going on with Kanye West is relevant to community and hip-hop I just can’t pour much energy into it. When I turn on the TV or get online I’m seeing more of our people having to answer to the police because a white person found them suspicious. Our government is on its side making dangerous decisions that will affect us all. Lastly, I know Kanye West greatly disappointed me. I truly understand the grief. Yet, I keep thinking to myself Kanye you are your mother’s legacy…the legacy of Dr. Donda West. She lives in you brother. The more I think about all of it as I ponder my own loss…I just can’t today with Kanye West, and don’t know when or if I will have it in me again to pay attention any further. I just can’t.